"Most companies do a poor job of managing their brands. Scott Davis vividly illustrates well–managed and poorly managed brand programs and provides the best methodology I have seen for improving your brand asset management." "Scott Davis has written a comprehensive guide for businesses interested in fully unleashing the power of their brands. His insights, analysis, and advice provide a road map for brand success. "—Don Fletcher, president, North America, Hallmark Cards, Inc.
A grounding in brand strategy, outlining how to assess the value of your brands and use that knowledge to determine how you develop, sell, price and market your products and services. There are extensive case examples and worksheets, and the author combines management and marketing with tactical and operational processes. (Kirkus UK) --This text refers to an out of print or unavailable edition of this title. "There are very few marketing texts as focused as this one, and most readers will learn something useful from it. "(Admap, March 2001) --This text refers to an out of print or unavailable edition of this title. "Most companies do a poor job of managing their brands. 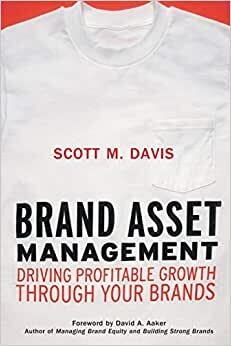 Scott Davis vividly illustrates well-managed and poorly managed brand programs and provides the best methodology I have seen for improving your brand asset management." "Davis sets forth a process that everyone, from the CEO to the marketing manager, can follow to position a company's brand in the most advantageous way and use it to drive development pricing, marketing, communication, and sales." "Scott Davis has put together a gem. Brand Asset Management is a practical handbook for managers looking to maximize the strength and value of their brands." "Scott Davis has written a comprehensive guide for businesses interested in fully unleashing the power of their brands. His insights, analysis, and advice provide a road map for brand success." — Don Fletcher, president, North America, Hallmark Cards, Inc.
"Davis is a modern-day brand visionary. He proves the power of managing a brand as an asset. And teaches you how." "Scott provides not only a host of practical tips to create and manage brands but also guidance on creating an organizational culture and measurement system to support the brand-building effort. I guarantee that your brand will benefit form the this book." 2.0 颗星，最多 5 颗星A new concept? You're kidding me! I find it surprising the way that some business authors claim that they are creating a brand new concept on how to manage something - in this case the brand, using the "Brand Asset Management" concept - when in fact they are only repackaging old and traditional concepts - in this case, marketing and brand concepts - and giving them fancy names (BrandPicture, BrandContract, etc). Don't be surprised if you feel as if you're reading your old marketing or brand management textbook in a new paperback format. It is as if Kotler had rejuvenated himself and lost some weight. There is absolutely nothing new on what the author proposes. From defining the "Brand Vision" to implementing it through communications, pricing, and channel strategy, the only positive someone can take out of this book is that it summarizes everything in 250 pages. 5.0 颗星，最多 5 颗星Great book. A must have!!! It is fukll of exmaples, processe and how to. It is a book I hold close. Refer to it oftem. Definite must have!!!! Utilizing an 11-step, four phase process, and the author demonstrates how to leverage a company's brands into a valuable asset. Allowing a company to charge a premium for their brands and still maintain market leadership is the goal of the author's process to helping companies capitalize on their brands. Phase 1: Developing a Brand Vision. A good Brand Vision integrates the company's strategic and financial growth goals with the role brands should play and the direction the role of the brands in achieving these goals should be. Phase 2: Determining Your BrandPicture. A brandpicture is defined by the authors as "a snapshot of your brand today, as seen by the customer." This allows the company not only to see itself through the customer's eyes, but also understand what the brand stands for and why customers choose this brand. It also helps companies to understand what customers expect from the brand, as well as understand additional needs or wants the customers may have. Phase 3: Developing a Brand Asset Management Strategy. Positioning the brand for success and extending the brand are critical to fueling growth. Understanding who the competitors are and studying the benefits, strengths and weaknesses off all the competition are critical to having a successful brand asset management strategy. Phase 4: Supporting a Brand asset management Culture. The final phase ensures that company's culture rallies around the brand as an asset and ensures that the strategies of top management are being implemented. This phase also involves calculating a return on brand investment (ROBI). * Loyalty drives repeat business. * Brand-based price premiums allow for higher margins. * Strong brands lend immediate credibility to new product introductions. * Strong brands allow for greater shareholder and stakeholder returns. * Strong brands embody a clear, valued, and sustainable point of differentiation relative to the competition. * Strong brands mandate clarity in internal focus and brand execution. * The more loyal the customer base and the stronger the brand, the more likely customers will be forgiving if a company makes a mistake. * Brand strength is a lever for attracting the best employees and keeping satisfied customers. * 70% of customers want to use a brand to guide their purchase decisions. HOW? Davis fully and eloquently answers that question, recommending in the final chapter four "tools" to inspire and then engage employees during the implementation of a BAM strategy: (1) Have them "relive" the preparations which the formulation of that strategy required; (2) make sure they understand the end results to be achieved; (3) make sure they understand which specific actions must be taken; and finally (4), provide and thoroughly explain the game plan for the implementation of the BAM strategy. Davis correctly views employee involvement as "the most important element of Brand Asset Management", suggesting that with such involvement "there is no telling the limit of BAM success." 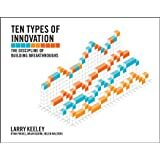 If any of this is relevant to your own organization's current and imminent needs, I urge you to read this book ASAP. Better yet, have all of the key people in your organization also read it, then meet (preferably off site) for 2-3 days to formulate your own "game plan." But it is imperative to keep in mind that everyone throughout the organization must become not only involved but indeed engaged. Otherwise, Davis suggests, "you might as well put your brand investment dollars in treasury bills." 5.0 颗星，最多 5 颗星Highly Recommended! Managing your brands as an asset is one of those obvious management priorities that becomes less obvious under the pressure of quarterly earnings. To a great extent, however, short-term numbers depend on the long-term positioning of your brands. Take a look at your organization. Is branding relegated to a department in your marketing division? If so, chances are your brand is being managed as a marketing tool rather than a corporate asset. Because the brand is the living relationship you have with your customers, it is critical that branding be elevated as a corporate priority. This book will show you how. We [...] recommend this excellent book to top executives looking to reposition a company's brands, marketing professionals who have charge of branding strategies, and for anyone whose business relies on the power of your brands.